The following is part of GTPlanet’s exclusive coverage of the 2018 FIA Gran Turismo Championship, as our editorial team travels around the world to get you special access to the events and competitors. Stay tuned for more, and be sure to follow us on Twitter, Facebook, and Instagram for a closer look behind the scenes. The top Gran Turismo players from the EMEA regions (Europe, the Middle East, and Africa) are descending upon Madrid, Spain this weekend for the FIA GT Championship Regional Finals. As we reported earlier this week, the races will take place at the largest venue to ever host a Gran Turismo event: a 28,000 square-foot theater custom-built for the event at Madrid Games Week. With so many drivers, it can be tough to know who to follow or watch. To help, we’ve put together a special spotlight on all the GTPlanet members competing in this weekend’s action. 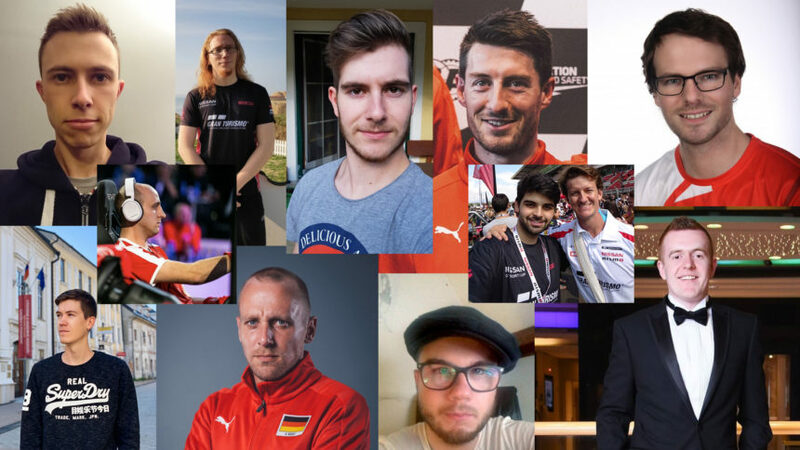 If you have spent any time in our GT Sport forums, you’ve almost certainly encountered a few of these guys, and you might have even shared a few races with them online, too. We’re proud to host some of the fastest (and nicest) GT Sport players from around the world, and now, here’s your chance to get to know them a little better before the competition begins tomorrow. Anthony is a 28-year-old delivery driver from Limoges, France in the Nations Cup. He uses a Thrustmaster T300RS Alcantara wheel with a TH8RS shifter and T3PA Pro pedal set. He’s been playing Gran Turismo since the first game was released, but GT4 is his favorite thanks to all the memories of working hard for that S License. Cape Ring and Apricot Hill are his favorite tracks from the series, and the legendary Toyota GT-One is the car that impressed him the most. 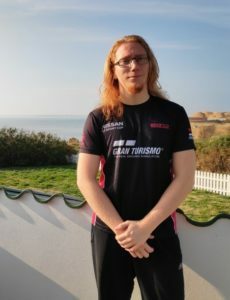 He has numerous friends in the competition, including his French teammate, TRL_LIGHTNING, Tidgney, and others. After their time competing at the Nurburgring World Tour event, though, he’s eager to strike back at Patrick Blazan and Giorgio Mangano and considers them his greatest rivals — he also thinks either one has a good shot of winning it all. Anthony considers himself a patient driver who likes to wait for others to make a mistake while he puts in consistent laps. He knows this is a strength, but concedes he may need to be more aggressive at times during this competition to make it to the next level. Fortunately, nerves should not be a problem. Anthony is an experienced virtual racer, having made it all the way to the GT Academy European Finals in 2012. His race team also won the 2016 Project CARS World Championship, in which he managed to become a 3-time vice world champion on his own. Outside of sim-racing, Anthony enjoys sports like football, basketball, cycling, and is passionate about astronomy. Stefan is a 23-year-old IT student from Salzburg, Austria. He plays GT Sport with a Thrustmaster T300 and T3PA Pro pedals. That’s a nice setup, but it’s still new to him: until last February, he was sitting on the floor with a Thrustmaster T100 bolted on to his coffee table. Unlike many others in the competition, Stefan was not immediately enamored by the original Gran Turismo games. 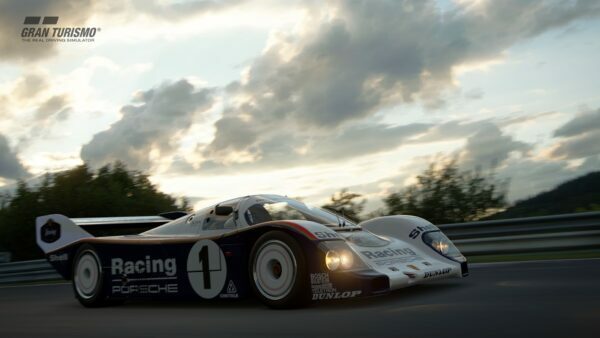 That has all changed with GT Sport, and he says it’s the first game in the series that got him to play more than 10 hours. It’s a fact that makes his quick climb to become one of the top drivers in Europe all the more impressive. He does not have a particularly favorite track, though Monza, Brands Hatch, and Suzuka are the ones that keep him coming back. He prefers driving high-downforce cars like the Mercedes W08 or the Vision GT concept cars in Sport. He’s also a fan of the VW Scirocco, probably because he drives one in real life. Being fairly new to the world of Gran Turismo, he’s still making friends. He met most of them at the Austrian World Tour event which was held in his home town of Salzburg. Although he is usually a patient driver, he can get aggressive when he feels like he has nothing to lose. We might see that side of Stefan sooner rather than later, as he’ll be starting in 9th position in his first group race on Friday (only the top eight will proceed). Despite a tough location on the grid and limited car selection, he knows he’s just here to have fun and give it his best shot. If he doesn’t move forward this year, he’ll return to his main hobby: skateboarding. Check out some of his moves on Instagram (@snussini). 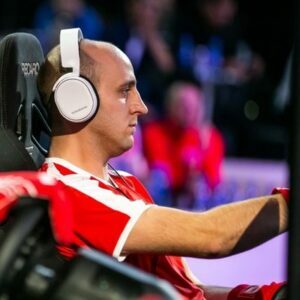 Christian is a 33-year-old IT specialist from Ansbach, Germany, who uses a Thrustmaster T300RS with the swanky Sparco R383 Rally Wheel paired with a set of Logitech G29 pedals, all mounted on a Wheel Stand Pro. He’s gone all the way with two Thrustmaster TH8A units: one for shifting, the other a handbrake. He’s been playing Gran Turismo games for over 20 years since he received the first title as a 13th birthday present in 1998. 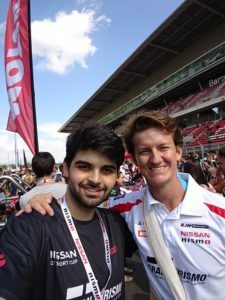 Christian qualified as a GT Academy finalist in 2014, and considers GT Sport his favorite title of the franchise. As for cars and tracks, Christian is partial to JDM machines that rotate quickly and the famous Nurburgring Nordschleife in his homeland. He has driven it in real life, but sadly will not be able to again: after a very hard crash at the Flugplatz, his wife has forbidden him from returning to the Green Hell! Kevin is a 33-year-old train driver from Bottrop, Germany, who plays GT Sport with a Thrustmaster T300RS wheel and pedal set. 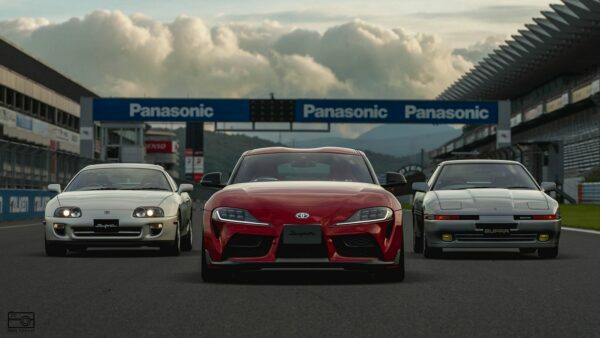 As a long-time fan of the series, Kevin has been playing Gran Turismo since the first game was released, but his personal favorites are GT4 and GT Sport. A true German, his favorite car and track are the BMW E30 M3 and the Nurburgring Nordschleife — a match made in heaven. Kevin has several other friends in the competition, including TRL_LIGHTNING, RC_Snake, and Atho, but make no mistake: he considers all of them to be potential rivals once the lights turn green. The greatest threat, however, might come from TRL_Fuvaros, who Kevin considers a favorite to win it all. His “reserved and thoughtful” driving style will be immediately put to the test as he avoids his greatest fear in the competition: finishing 9th or 10th in the first Block A race. Outside of sim-racing, Kevin enjoys motorsports, his bull terrier dog, and spending time with his girlfriend. Kenni is a 25-year-old from Hundested, Denmark. He plays GT Sport with a Thrustmaster T300RS attached to a home-made rig. He built it with his father five years ago with one of the leather seats from his old SAAB 9000 Turbo. He’s been playing Gran Turismo games with his brother since he was just 4 years old, but his real passion started with GT2 — a game that holds a special place in his heart. He’s spent plenty of time with later titles in the series, too, earning the time-consuming Platinum trophy in GT5. 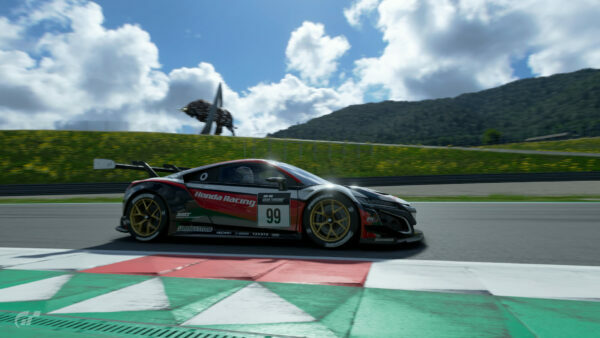 He’s taking things even more seriously with GT Sport, having already logged over 2,000 hours in the game. 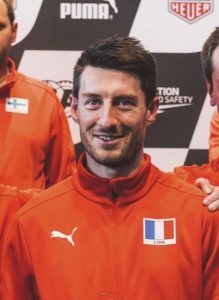 As for his on-track persona, Kenni considers himself “patient and safe”, but warns we’ll have to see what happens when the lights turn green… Despite the warning, he doesn’t want to ruin anyone else’s race: his greatest fear at the live events is causing an accident that takes someone else out. Above all, he wants to race clean and fair. Kenni’s skills behind the virtual wheel are quite remarkable, as in the real world, he doesn’t even have a driver’s license! Gaming is his great hobby and passion, but he likes to be outside as well, cycling and boating. 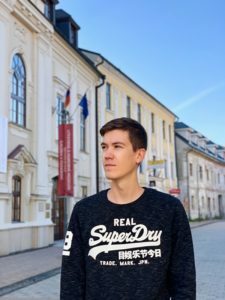 Mikail is a 19-year-old mechanical engineering student from Baiersdor – Hagenau, Germany who has been playing Gran Turismo games since he was only six years old. For GT Sport, Mikail plays with a Fanatec CSL Elite. As for his favorite game in the GT series, it’s a toss-up between the ever-popular GT2 and GT4. When he’s driving in GT Sport, he prefers to be piloting the Subaru WRX Gr.3 car. Unlike many of the other Germans, though, the Nurburgring isn’t his favorite track: he prefers the Japanese curves at Suzuka. 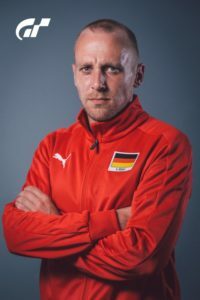 Mikail is widely known in the world of Gran Turismo and has lots of friends in the competition, including Fuvaros, Tidgney, Aderrrm, Jomas, and all his German teammates. His driving style is a combination of aggressive attack when needed, but he can easily revert to a smoother, consistent pace if his position in a race calls for it. As you can see from the comments of the other competitors, he’s one of the fastest in the world and is a top pick to win it all. When not gaming, he likes playing soccer, watching anime, eating cookies, and is currently learning Japanese. Zoran is a 30-year-old software developer from Aylesbury, UK, though he is originally from Croatia. He moved to the UK just last year in 2017. 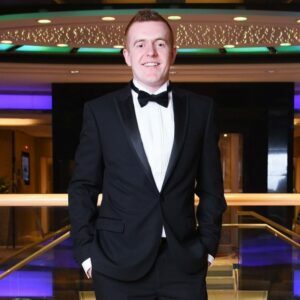 He has an interesting professional background, having worked as a CNC machinist in Formula One before moving over to software development. He uses a Thrustmaster T-GT wheel to play GT Sport, which he plays to focus mainly on the FIA Championships (clearly it has paid off!). The Honda NSX is his favorite car to pilot in the game, and he’s really hoping to see Spa Francorchamps in a future update. Zoran feels as if he has grown up with the Gran Turismo series and has developed relationships with other players, many of whom he considers some of his best real-world friends today. Hopefully, his friends can keep him calm in Madrid: he considers his greatest weakness to be losing his cool after racing incidents and then being unable to recover. Zoran’s hot-headedness is matched by his aggressive driving style, but he tries to be careful not to take things too far. “Fair play above everything,” is his personal motto on track. His greatest concern about the live events doesn’t have to do with the racing, though: he’s just worried about getting choked up during a live interview! Off the track, Zoran works hard on his fitness, exercising and running whenever he gets a chance. You can find him on Twitter and Instagram. 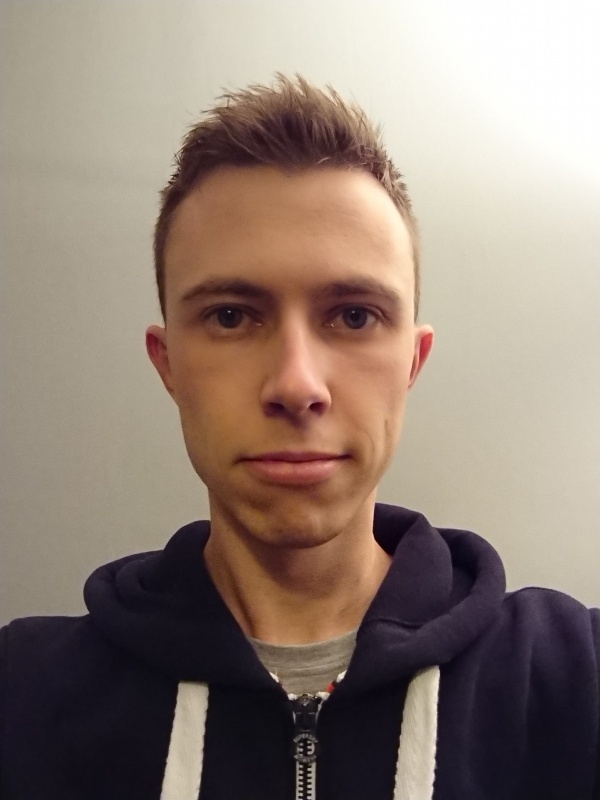 Adam, or “Aderrrm” as he’s known in the forums, is a 26-year-old who works in finance as a payments treasurer in Nottingham, UK. Like many of the other competitors, he’s been playing Gran Turismo since the very beginning, and currently drives in GT Sport with a Thrustmaster T500RS. His favorite game in the series is GT5, but his favorite car in the series didn’t come along until GT Sport: the Porsche 911 RSR. Adam brings a lot of experience with him to the FIA GT Championships: he made it all the way to GT Academy Race Camp in 2013, where he formed a friendship with fellow competitor Martin Grady (Tidgney). He’s also connected with other players when they raced together at the GT Sport World Tour event in Austria. In Austria, Hizal (TRL_LIGHTNING) caught his attention as a potential rival, and he’ll be facing off against Maatu in his first race in Madrid. Adam is confident that he can beat both of them, though: when asked who he thinks the favorite is to win it all, he’s betting on himself. As for race strategy, he’s noted the importance of tire compound choice. It will be his main focus in his first race of the day, and knows it’s up to him to make the right call from pole position in order to keep from getting passed in the pits. While not sim-racing, Adam enjoys other forms of motorsport, including F1, MotoGP, and GT racing. He’s also into music and loves going to live gigs. His favorite band is The Arctic Monkeys, and he’s been learning to play the guitar for the last three years. 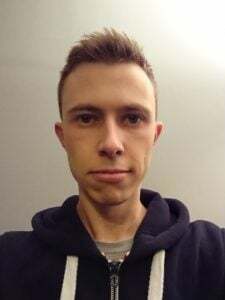 Martin, or Tidgney as he’s better known as online, is a 28-year-old Senior Systems Development Officer from Southport, UK. 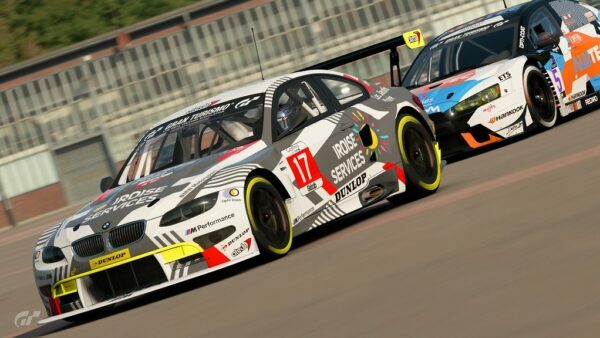 He’s a common sight around the GTPlanet Forums, and is widely known from his popular YouTube channel where you can watch him lay down some seriously fast laps. As you might expect, Tidgney has been playing Gran Turismo since the earliest of days, when he was 6 or 7 years old. Although GT4 holds a very special place in his heart, he strongly believes in the premise of GT Sport and the way it opens up competition to drivers of all skill levels quickly. Tidgney is a big fan of Peugeot: the RCZ Gr.3 car is one of his particular favorites, and he’d love to see its Vision GT project brought into the real world. As for tracks, Suzuka is his favorite for a very special reason: he is one of the few people (if not the only person) in the world to score a Gold time on all three X2010 events in GT5 using a gamepad. He documented the experience here in our forums back in 2011 and it’s still a fun read. Of course, Tidgney is no stranger to high-level competition. 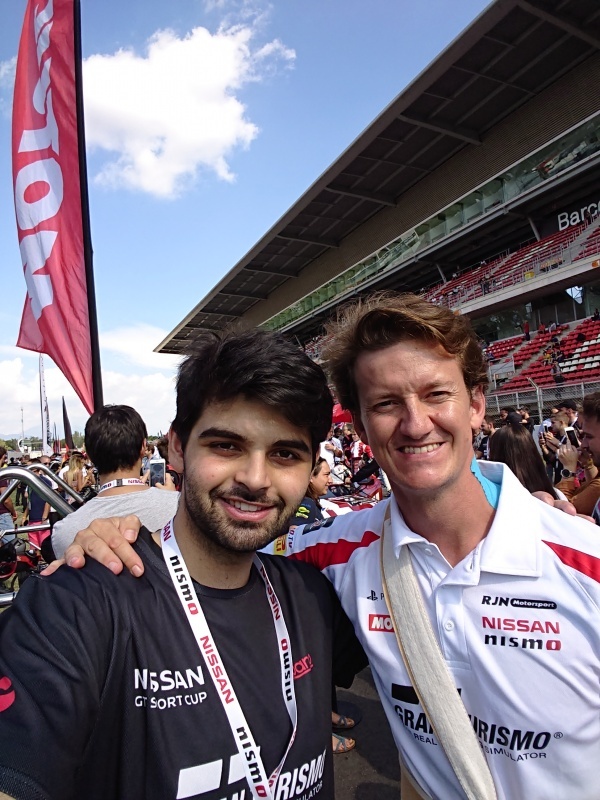 He made it all the way to Race Camp in GT Academy 2013, where he befriended fellow competitor Adam Suswillo (Aderrrm). As for rivals, as those who watch his YouTube streams will know, he’s got a history with “Azorean”. He couldn’t make a pick to win it all, but instead offered the top drivers, in his opinion, from each region: Yamado_racing from Asia/Oceania, GTP_Aderrrm from EMEA, and TRL_Doodle from the Americas. His main concern is fairness during the competition in Madrid. Ideally, Tidgney would like to see one-make racing for the Nations Cup instead of the current format: it’s an interesting proposal and one that has been mentioned by other competitors to eliminate the differences between cars. He’d also like to see a 25-car grid with each manufacturer represented in one huge, final race — now that would be fun! Keep an eye on Tidgney’s YouTube channel: he’s keen on helping others get started with this hobby, and is creating a “GT Driving School” video series which will cover all the basics, like braking, accelerating, learning corners, etc. 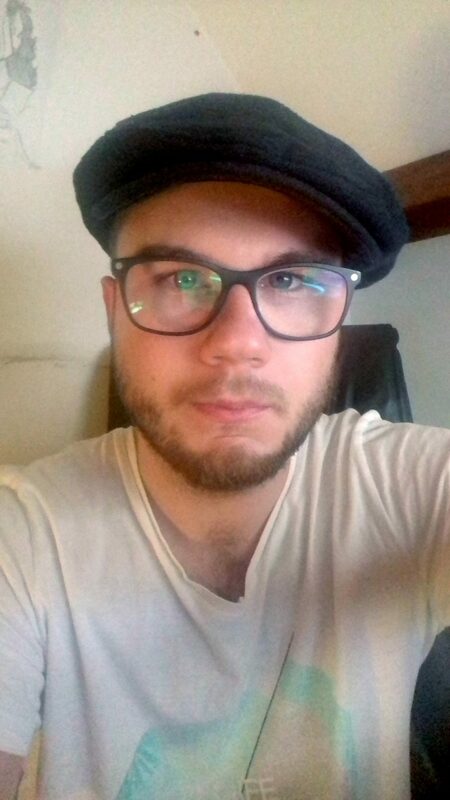 Florent is a 22-year-old from Fumichon, a small town in the beautiful Normandy region of France (and yes, he will be wearing that magnificent beret between races in Madrid). He is currently studying for his Master’s degree in epidemiological statistics. He plays GT Sport with a Thrustmaster T150, and although he likes the newest game, GT3 is his likely all-time favorite. He describes GT3 as a “revelation” — a word we’re sure many of us would use to describe the early games — and a source of many special memories of playing with his older brother. Suzuka is easily his favorite track, but he’s also a fan of the Nurburgring 24h layout. As for cars, he’s partial to the Porsche RSR GTE and the Toyota FT-1 Gr.3. Florent is active in the online racing league scene, as a founding member of the International Gran Turismo League with a group of his friends. As such, he knows a lot of other competitors, including his best friend Kenni Hansen. 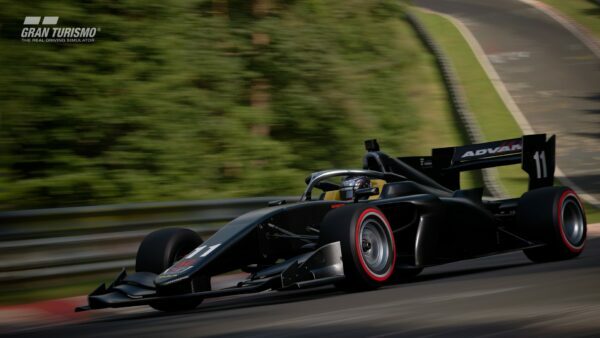 He’s also acquainted with Mikail Hizal (TRL_LIGHTNING), Martin Grady (GTA_Tidgney), Manuel Rodriguez (TRL_MANURODRY), Pierre Lenoir & Anthony Duval (RC_Snake91 and RC_Atho). He can’t pick a single favorite, but thinks that Adam (GTP_Aderrrm) and TRL_Fuvaros are in good positions to win it all. 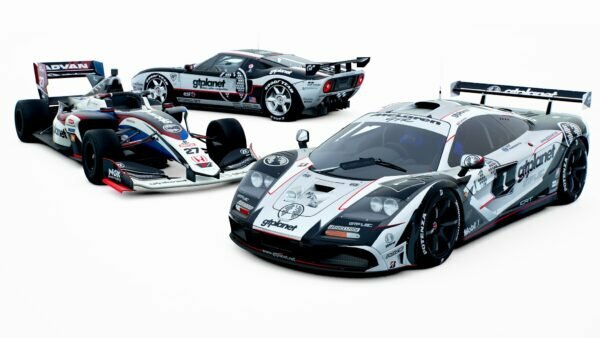 Florent’s history with Gran Turismo is a particularly interesting story. When he was born, a problem nearly left him blind in his left eye. As treatment, he had to force the eye to work harder by blinding the right eye and doing something that required intense focus. For Florent, that was playing Gran Turismo 1 and 2. Surprisingly, it worked, and he can now see with both eyes! David is a 22-year-old (he’ll celebrate his 23rd birthday while in Madrid!) 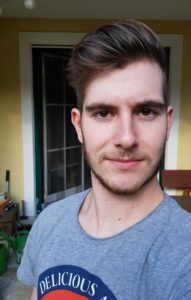 system administrator from Bystrica, Slovakia. 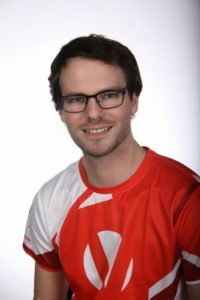 You may recognize his “Lord Protector” username from our forums: he’s been a member for nearly five years and has been a reader of GTPlanet for the past decade! Though he currently plays GT Sport with a Thrustmaster T300 GT Edition, he’s still a fairly new wheel user, having made the switch from a controller only ten months ago. 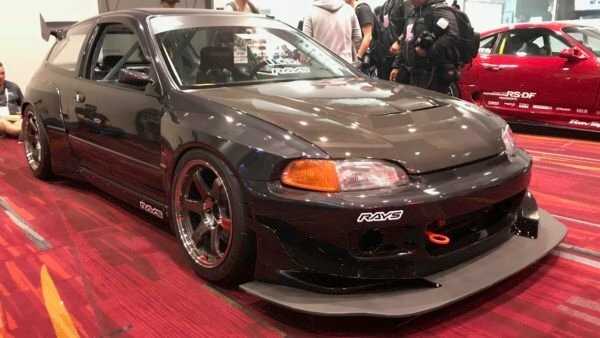 David is a fan of all the great JDM classics, from the NSX, to older GT-Rs, the S2000, and his favorite of all, the Toyota Castrol TOM’S SUPRA (JGTC) ’97, which he likes to pair with the Nurburgring 24h circuit. Although he’s got a lot of friends in the game, he hasn’t met any of them in real life, though that is sure to change soon. He’s shared many great races with Kenni, Nussini, Engless_GTE, and Fuvaros, who he considers his toughest competitor. David likes to drive in real-life, too. Near his hometown in Slovakia, there’s a winding mountain road called Sturec, with tight corners and little to no traffic. His best memories there are with his old car, a 1997 Honda Prelude. He’s thankful to finally bring his talents to the world of Gran Turismo, considering Slovakia had always been excluded from GT Academy competitions in the past. David has a wide range of hobbies, including piano, swimming, traveling, and trying new cuisines.